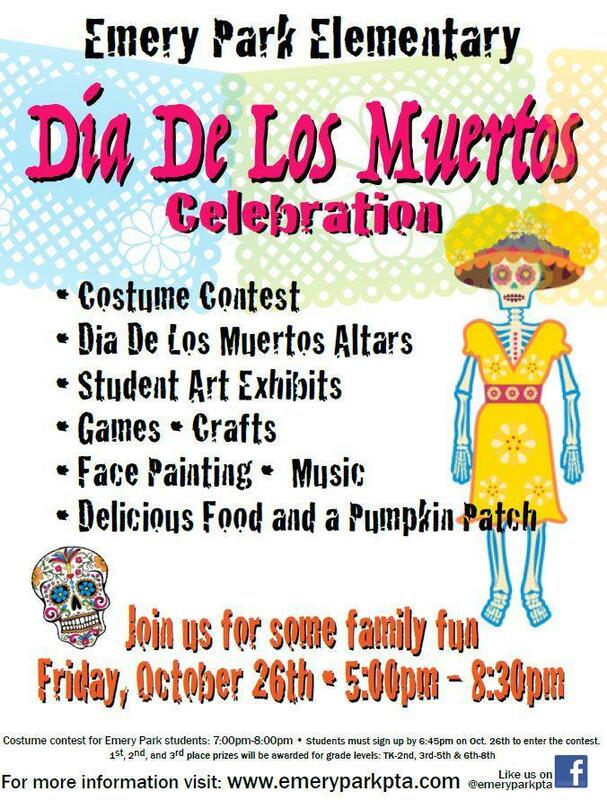 Emery Park is busy getting ready to celebrate our 4th annual Dia de los Muertos (Day of the Dead) celebration! Students are creating artwork, PTA is organizing games, music, costume contests..., and ASB is putting together a beautiful altar to honor all our passed loved ones, 2 legged and 4 legged! ﻿We hope to see you here at this awesome event!